Anytime an aftermarket company pushes the boundaries of what was once thought to be the ragged edge of an engine’s architecture, a lot of time, money and effort goes into the project — not to mention an industry reputation being on the line. EFI University has teamed up with COMP Cams to develop an LS-based cylinder head and valvetrain combination capable of revving beyond 11,000 rpm! They call it Project Spinal Tap. Ben Strader (left), owner of EFI University, and Billy Godbold (right), COMP Cams’ lead valvetrain engineer and physicist. In the name of exploring the unknown and expanding industry knowledge, Ben Strader, owner of EFI University, shared with us his recent trip to COMP Cams’ headquarters in Memphis, Tennessee, for some experimental SpinTron testing and R&D work with COMP’s own Physicist and Engineer, Billy Godbold. 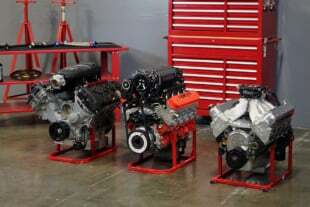 Using high-end technology borrowed from the Pro Stock engine program, EFI University is determined to develop an LS-based valvetrain combination capable of rotating over 190 times per second. But the end-goal is to produce the information to back up their claims – meaning that the methods used have to produce meaningful data that can be used to further improve the design of a system and further the valvetrain industry’s knowledge as a whole. As stated by Strader, the top-end build itself is a Competition Eliminator-style valvetrain assembly — consisting of a set of RHS Pro Elite LS7 cylinder heads capable of moving 307cc of air, Jesel 0.937-inch keyway lifters, custom Jesel rockers, and titanium valves. The heads sit on top of a sub-400ci Dart LS Next block. The goal is for the project to eventually be dropped into a Fox-body Mustang for no-prep grudge races and bracket events. Anytime a project of this magnitude is taken on, a lot of planning and custom machine work has to be completed. With no guarantee everything will work as planned. 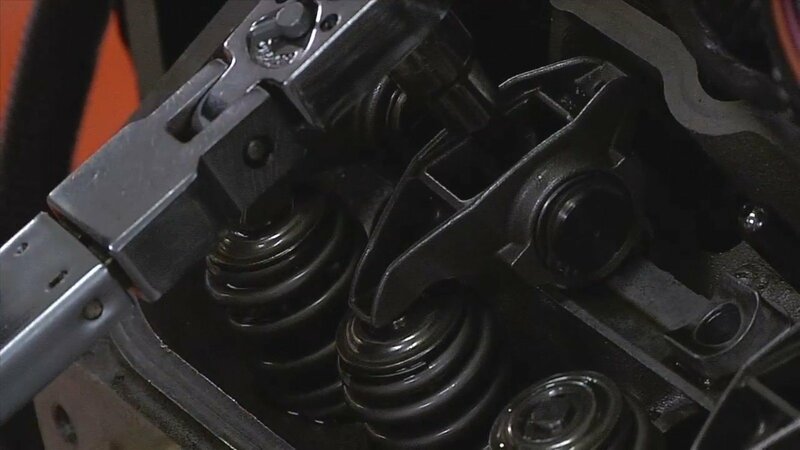 The SpinTron from Trend Performance varies from your standard engine dyno by having the ability to run durability testing, component failure analyses, and frictional horsepower tests on virtually every valvetrain component. Using an alternating current (AC) electric motor to bring the rotating assembly up to speed, the SpinTron will then analyze the valvetrain system through a precision laser camera to track valve motion and pushrod characteristics. Will the new RHS setup be able to break the 11,000 rpm threshold and stay together? Stay tuned for more Spinal Tap updates from EFI University in the near future to find out!